The next big thing in bedding is the emergence of organic mattress companies. Understanding Organic Mattress Certifications is essential information when researching natural sleep options. Organic certifications, aspire to the stricktest of standards. Greener, more sustainable materials offer a healthier sleep environment. This is particularly true for children or allergy sufferers. Those more susceptible to the adverse effects of harsh chemicals benefit the most. Certifications help consumers to make educated buying decisions. Consistent, measureable requirements are now in place; permitting side by side product comparisons. As a general awareness of organic options increases, so too does the demand. The changing market has not gone unnoticed by mattress manufacturers. Bedding companies are eager to supply this expanding market. But, sorting through the vast array of information can be confusing. Many companies toss around terms like organic and natural every day. Often, they offer little or no proof to back up their claims. Some use only a small percentage of natural materials, but tout themselves as organic. Fortunately, there are guidelines and certifications that distinguish contenders from pretenders. We'll take a closer look at what the real differences are. The term "natural", in and of itself, does not carry a whole lot of weight. If it's not regulated to meet a certain standard of expectation, the word holds no value. That’s why certifications have become so important to many mattress buyers. They provide verification of product specifications and build consumer trust and confidence. GOTS was established in 2006 by a collaboration of leading standard setters. It has since become the most accepted worldwide standard for organic textile requirements. To meet certification requirements, manufacturers must prove themselves. Raw materials must be harvested in an environmentally responsible manner. Cotton, for example, is a natural fabric but is often grown with the use of harmful chemicals. Cotton grown without dangerous chemicals are eligible for GOTS (Global Organic Textile Standard). 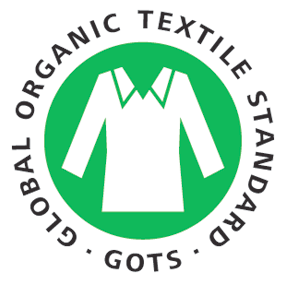 Only textile products containing a minimum of 70% organic fibres can become GOTS certified. Any chemicals that are used must meet environmental and toxicological criteria. This criteria is constantly being reevaluated to reflect the most current data available. The latest updated version (GOTS 5.0) was released on March 1, 2017. In order for a manufacturer to be certified GOTS, an independent inspection must take place. This is mandatory to insure the integrity of the certification. GOTS maintains a public data record of certifications. They provide full disclosure regarding steps taken to achieve and maintain accreditation. Control Union is an international testing and certification company with headquarters in the Netherlands and Florida. In January, 2017, Control Union announced updated standard requirements. GOLS now covers both certified organic latex as well as finished products made with latex. In order for a mattress to certified “Organic”, it must also contain certified textile materials. Basically, it is essential that all materials (other than approved accessory components) must be of organic origin. Control Union has had partnership with the textile industry for many years. GOLS recognizes GOTS and the Eco-INSTITUTE-Label. Materials approved with these certifications are deemed in compliance with GOLS standards. In order to meet GOLS requirements, Organic latex both must contain no less than 95% natural latex rubber. The remaining 5% or less is made up of sulfur, zinc oxide and fatty acid soaps. These compounds are necessary during the vulcanization process. This is where the liquid sap of the rubber tree is transformed into a solid foam. Both Natural and Organic latex end up with the same quality features. The difference is that certified organic latex guarantees product has been independently evaluated. Not only does it verify the quality of the latex. It assures trees were grown without toxic chemicals in a sustainable manner. It also dictates that employees who work the farms or molding plants earn a fair wage. Employers must also provide decent working conditions. It's as much of an ethical conundrum as it is a quality issue. Manufacturers must meet these expectations for GOLS (Global Organic Latex Standard) consideration. Organic and natural latex will perform the same. That is, assuming the manufacturer’s claims are credible. The only difference is the certification. Whether or not this is important to you is up to your personal discretion. Consumers can purchase GOLS certified latex mattresses with confidence. They understand certification guarantees highest quality standards of quality and ethics. It’s important to note the US Department of Agriculture's stand on organic labels.They permits the term “organic” to appear on a mattress label even if only one of the materials used is certified organic. In fact, some may be manufactured using potentially dangerous chemicals. That said, for those truly seeking an organic mattress, it’s important to do your research. There are a number of other certifications out there but GOLS & GOTS adhere to the most stringent standards. For this reason, we feel they are the most meaningful in terms of what they say about a mattress. For clarification sake, we’ll discuss the most common remaining certifications and what they they mean. Please note, not all certifications indicate a product is Organic or natural for that matter. We are not implying these other awards have no value. However, we do believe understanding what they entail will help to make a more educated purchase decision. 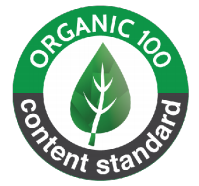 Organic Content Standard 100: OCS 100 logo is is awarded to product that contains 95% or more organic material. However, it does not address the presence of chemical flame retardants, VOCs or dyes. OCS is not involved with the actual certification of organic product. The goal is to guarantee traceability of raw materials during all manufacturing stages. 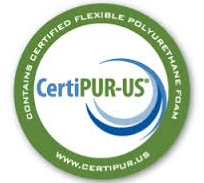 CertiPUR-US: This certification pertains to polyurethane foam. There is no implication that certified products are “Natural or Organic”. For the record, GOLS bars usage of polyurethane altogether. CertiPUR-US requires testing for formaldehyde. It also prohibits the use of polybrominated diphenyl ether or PDBE flame retardants. Greenguard: (formerly known as GREENGUARD - Indoor Air Quality Certification): Requires emission tests for formaldehyde and VOCs (volatile organic compounds). Greenguard certification assures material meets strict chemical emissions limits. Certification is backed with independent, unbiased, 3rd party inspectors. Greenguard Gold: (formerly known as GREENGUARD Children & Schools Certification): Demands stricter emissions limit on VOCs than Greenguard. More stringent guidelines are designed to protect more sensitive individuals. Stricter standards intended to protect children and the elderly. Certified products are deemed suitable for schools and healthcare facilities. ​Made Safe: Certifies products are made with ingredients not known or suspected to cause harm to human health.The Made Safe seal assures products we use every day, from baby to personal care to household and beyond. UL Validated​: Verified by Under Writers Laboratory to be formaldehyde-free. Validated also tests the VOC content of products in accordance with standard test methods and SCAQMD rules. The following is a list of popular mattress companies that promote themselves to be either Organic or Natural. We have listed corresponding certifications that back up their claims. This particular page by design, was meant to remove subjectivity​. Our intention here is only to show certifications each company has been awarded. Industry standard organizations are good for both consumers and ethical businesses. They allow companies to prove what they say and buyers to make educated decisions. For simplicity purposes, all Organic Certifications for Organic materials will be shown in Green. This is not meant to diminish the significance of other certifications. It is simply meant as a way to zero in on what may be most important to you. One last note... The certification process is quite involved and can be costly for manufacturers to attain this status. There are many good companies using "Natural" product that is not necessarily certified. Still, validation of product quality and origin helps builds consumer trust and confidence. ​Complete list still pending. Currently, the company web site is under construction. We were informed complete list of certifications will be posted soon. Updates to follow when available. Saatva uses Natural Thistle flame barrier. No toxic chemicals are used. Recycled steel is used in production of coil system. Although Saatva says on their site that they use Organic Cotton. They posses no certifications to verify this statement. When asked for details, they told BestSlumber that cotton was GOTS Certified by the manufacturer but they themselves were not certified. When asked who the manufacturer was, we were told they were not at liberty to say. Unfortunately, without verification, there is no real proof this cotton was grown without pesticides or dangerous chemicals. We certainly welcome a response from Saatva on this matter. Latex is also EuroLatex ECO and Oeko Tex Certified. Natural Memory foam: Although not certified Organic, It's the first memory foam we have reviewed that contains no polyurethane. This foam is made from natural rubber tree sap, natural oils, grapefruit seed and cone flower. It is certainly a much greener alternative to traditional memory foam offerings. Latex is one of best foams available for support and comfort. Still, much confusion still surrounds this foam. To keep it simple, you must understand that "Latex" can be Natural, Synthetic, or a combination of both. The best quality Latex are those that use all natural product made from the sap of the rubber tree. Recapping our earlier conversation, Natural and Organic Latex must be a minimum of 95% Natural product. Organic, adheres to higher standards with regards to labor and environmental issues. Both will perform significantly better than Synthetic Latex. Our goal here is simple. We'll show which companies can back up their claims via industry accepted certifications. Oeko-TEX Standard 100 Certified Latex is made from 100% Natural product. A small amount of chemicals are added during vulcanization process. The end result is a foam that (like organic) must be a minimum of 95% natural Latex. Zenhaven is "not" Organic. But in fairness, there are no provisions for making Talalay Latex certified Organic. The extra processing involved makes the latex more consistent. But It also disqualifies the foam from organic status. Remember, Natural latex will perform the same as Organic Latex. Zenhaven Claims their Cotton is Organic. However they hold no certifications verifying this statement. ​Our request for additional information was met with a similar response to inquiries about Saatva. The certification is held by the supplier and they will not reveal there name. The argument was made that they felt seeking the certifications would not add anthing of value to the mattress. They also stated the cost of certification would result in increased prices. This is not an unusual stance for a manufactrer to take. It appears the Saatva company "does" see the value of Organic products; just not the value of being certified. Fire retardant - Natural American Wool - acts as natural fire retardant. ​Spindle openly declares on their site their wool is not organic. They also disclose where and from whom their wool is acquired. Spindle lists their Cotton as "Organic" - However, there is no refference givin to an Organic Certification. Depending on the growing season, cotton is purchased from the US, Mexico or India. ​In Fairness... Spindel does not promote themselves as an "Organic" mattress. They are listed in this category for one specific reason. Dispite not taking the certification route, Spindle is a greener, more eco friendly mattress than many companies that claim to be. In an interview with BestSlumber, Spindles's Marketing Director, Kim Novik elaborates. He stated that the company's focus from the begining was to produce quality at a great price. Achieving that goal meant using quality natural materials. EuroLatex ECO-Standard -The TFI (Deutsches Teppich-Forschungs Institut in Aachen) in Germany, tests for the maximum acceptable limits for substances that are considered harmful to health.